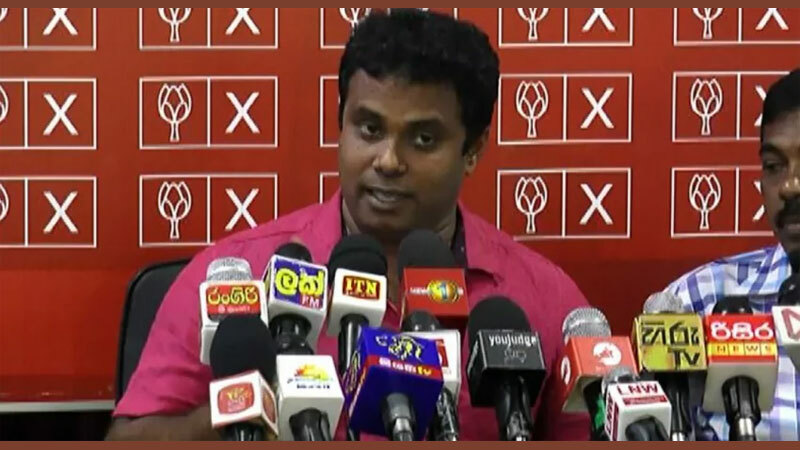 Southern Provincial Councillor Krishantha Puspakumara alias ‘Raththaran’ has decided to resign from the post of councillorship and to pull out of all political activities. The councillor announced his decision at a press briefing held at his residence in Galle on Sunday. “I have been accused for an alleged charge of sexual abuse. Hence, it is not moral for a people’s representative to engage in politics after being prosecuted for such an alleged offence. I will return to politics when I am acquitted and discharged of all charges against me. I want to uphold the dignity of the people who voted for me and my party and its leaders,” he further said. “I took this decision not out of fear of the verdict of the case against me. The charges framed against me are groundless and strange. I do not admit to any of the charges against me. My wife and daughters have the utmost trust and faith on me. I know justice would be done to me. As a policy-minded politician, I decided to resign from the post of Provincial Councillor and stay away from politics for now. Akmeemana Police prosecuted Puspakumara for the alleged sexual abuse of a 16-year-old minor. The Provincial Councillor was produced before Galle Chief Magistrate Harshana Kekunawela who released him on cash bail of Rs.25,000 and two sureties of Rs. 5 million each on February 28. “The respondent had been well-known for divine curative power and people were used to visit his Devale for various illnesses. The alleged victimised girl had also gone with her parents and family members for treatment for a certain illness. Subsequently, the respondent had taken the girl inside his Devala alone and had had allegedly sexually abused her,” Akmeemana Police told the courts. Krishantha Puspakumara alias Raththaran was elected as Provincial Councillor on the UPFA ticket at the previous Southern Provincial Council election. He was also the Supervisory Councillor of the Provincial Education Ministry. I will resign from my post as a Southern Provincial Councilor and from all political activities, stated the Krishantha Pushpakumara alias ‘Rahtharan’. The Councilor was arrested on the 28th of February and was granted bail, for committing serious sexual abuse against a 16-year-old school girl.